This post was originally published on Reinventing Mommy at http://reinventingmommy.blogspot.com/2013/05/awakening-reinventing-mommy-celebrates.html and is reprinted here with permission from the author. 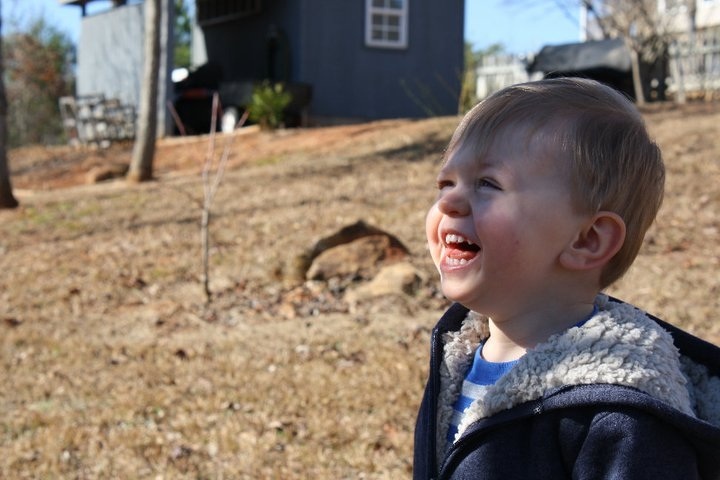 When I sat with my screen open to a blank page contemplating what I would write for Autism Positivity 2013, I had a hard time selecting one specific aspect of my sweet 4-year old autistic son that does not fill me with boundless joy. He is positivity and love and goodness personified. Yet, when thinking on this journey that both my boy and I walk hand-in-hand each day, one word came to mind – awakening. You see, before my son was born, I was a workaholic quality engineer for a tissue processing company. On the day I went into the hospital to give birth, I had been on bed rest for two weeks. I looked forward to returning to my normalcy – the hustle and bustle of my career. If not for my son’s special needs and eventual autism diagnosis, I might still would be in that same building, cranking out reports day-after-day. My son would be in daycare like so many other children his age. We would be looking at private schools for his coming Kindergarten year. He might have a sibling. I would hurriedly make my usual Earl Grey Tea without enjoyment and would speak to people in passing. We would be an absolutely ordinary family. Nothing remarkable about us, really. This little boy I carried and delivered that day had other plans. He was here to change the world for more people than he could possibly imagine. There would be nothing ordinary about him; he was destined for an extraordinary life. Indeed, he has been my greatest teacher. After my son was diagnosed, his very wise developmental pediatrician recommended that I seek training in DIR/Floortime from a very respected professional at Floortime Atlanta. I immersed myself in her teachings and those of Dr. Stanley Greenspan, but their most poignant piece of advice was this: Follow Your Child’s Lead. And I have been doing so ever since. It was a radical shift in everything I had learned about parenting. For the first two years of his life, I had operated on the principle that so many are taught – parenting is a dictatorship. It was my role to command; it was his to follow. I had to throw away the parenting books full of advice and milestones and take his hand, giving him control over the life through which I was to lead him. Instead, I gave him control, stayed at his side, and was determined to let him determine the course in the days and months and years ahead. Floortime and my son reversed those roles and – in doing so – opened my eyes to the world as I had never seen it before. No longer did I see flapping hands as a negative; they were a sign of my son’s overflowing joy. When I got down on his level, put my head alongside his, and looked to see what he was seeing, I saw incredible wonders and beauty in our world that I never knew existed. In trying to take into account his sensory needs, my senses were opened to experiences that I never imagined. I learned just how little we really needed words for communication, that I could understand my boy without him ever saying a word. It is through my son that I have come to understand what true beauty really is. It is through him that I take the moment to breathe in each experience and live life to its fullest. My morning tea no longer is made in a rush. Instead, I inhale the aromas and watch the leaves swirl peacefully in the infuser. I listen to the gentle clinking of the rock sugar as it hits the bottom of my glass. I see hues of color in each bubble and marvel at its travels on the breeze. I know that all behavior is communication and I open my eyes to hear what it is that he has to tell me. I know that love comes in so many forms that I cannot say that his lack of spontaneous hugs and kisses means he doesn’t love; rather, his whole existence is an outpouring of love. My little boy – my little boy who says so little while saying so much – taught me all of this. I’d argue that it is because of his autism that he has opened my eyes and ears and heart and soul to all of the richness that life has to offer. I followed his lead and he’s showing me the world through his eyes. What a beautiful awakening I have experienced…all because of one little boy. This post was originally published by Cari Noga on http://www.carinoga.com/2013/04/30/1000-ausome-things/ and is reprinted here with permission from the author. So it looks like one thing. 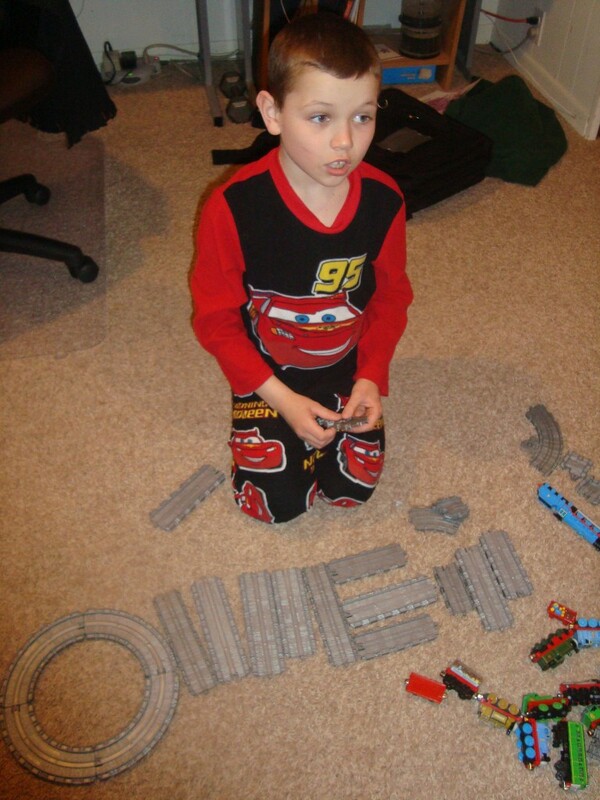 Son spells out name with train tracks. Cute. That’s what I would have thought three years ago. And then dismissed it. But when my son did this two nights ago, it took my breath away. After all, difficulty with communication is a hallmark of autism. That’s what the professionals say. This post was originally published on Restless Hands, at http://restlesshands42.wordpress.com/2013/04/30/restlesshands42-celebrates-1000-ausome-things-autismpositivity2013/and is reprinted here with permission from the author. It’s been a rough week so far, and I’m tired, so this will be short. 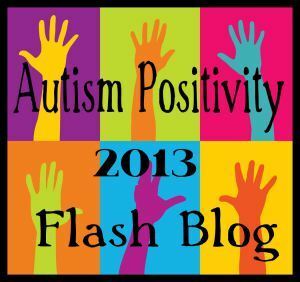 Autism has brought so much positivity into my life. I still don’t know if I qualify for a “formal” autism diagnosis, but it doesn’t really matter. The autistic community has accepted me, and supported me, and helped me to understand myself, and now I no longer feel isolated for my scattered handful of mental functioning deficits, and that is enough. Autism has given me friends, and new hobbies, and new ways of thinking about myself, and of thinking about others, and thinking about thinking, and about education, and about human rights and dignity and intelligence. A few days ago, I saw a screening of the documentary “Wretches and Jabberers,” the story of two men who grew up without any codified means of communication and then, as adults, traveled the world teaching others about autism and about the fact that intelligence does not require speech. And I cried at the times in the film where I could understand the body language and needs of these men and their own aides did not. And my dear friend and housemate flapped zir hands with me at the wonderful parts. And zir boyfriend laughed with the two of us at some of the ridiculously clueless comments that a few allistic (non-autistic) audience members made afterward, and the three of us cheered for the two autistic young men who volunteered to come up to the microphone and tell the whole audience that they liked the film. Autism means many different things to different people, including people on the spectrum and their families. I know that for many people, being autistic has involved a lot of pain and suffering and stigma and struggle. I will continue to fight for a world in which being autistic does not have to involve any more pain or suffering or stigma than not being autistic. Because to me autism means, and will always mean: laughter with happy flaps, and the fun of pointing out patterns and oddities to each other, and rocking while brainstorming about disability rights, and geeky jokes, and people who squee in joy with me at rainbow colors and the unexpected beauty of under-appreciated things like math, and science, and solitude. To me, that is autism. And I hope they never find a cure. 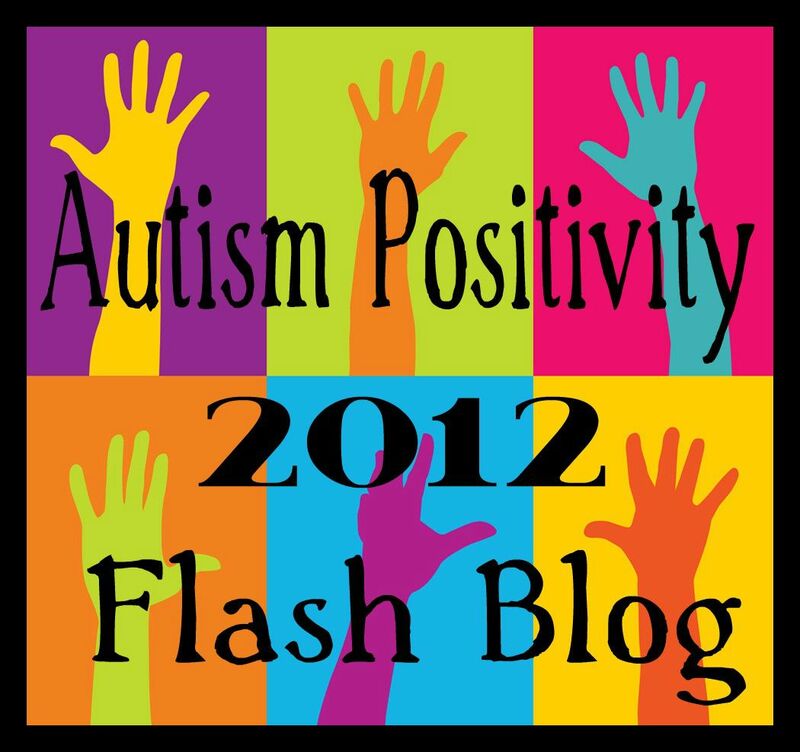 This post was originally published by Katrina Moody on Kat’s Cafe, at http://katscafe.org/boys-with-autism-awesome and is reprinted here with permission from the author. Last year I was a part of the Autism Positivity project because I felt it was so important to present the positive side of autism. Our reality, yes, but not always so awful, autism is just a part of who my boys are, and my boys with autism are freakin’ awesome! I’m not going to say it’s always rainbows and puppy dog tails, but my three guys have shown me, time and time again, how utterly awesome they really are, and this year’s Autism Positivity Project asked us to focus on that “Ausome” and share it around. I couldn’t ask for a better reason to share a bit of our reality with you all. You see, it’s easy to be depressed, to feel overwhelmed, and to worry about the future when you have children with special needs. It doesn’t matter if your kids have autism or some other diagnosis, if you can’t see the positive in it and who those amazing kids are then it’s harder than ever to be the best parent you can be.